Kapton was the high selling Red Angus bull calf at the 2002 Angus Pride sale for $13,250. He was extremely long, thick topped, had great hair, plenty of testicle development and lots of style. His dam was the high selling female at Angus Pride 2001 for $6200 to Doug Noad and Lakeford Red Angus. Miss Chief 7K was sweet fronted, deep bodied, and moderate framed. In fact, 7K with Kapton at side was the Reserve Champion open pair at the Bashaw Junior Angus Show in 2002. Kapton’s sire Kargo 83K was the $23,100 high seller in the 2001 U-2 and Compass Bull Sale. 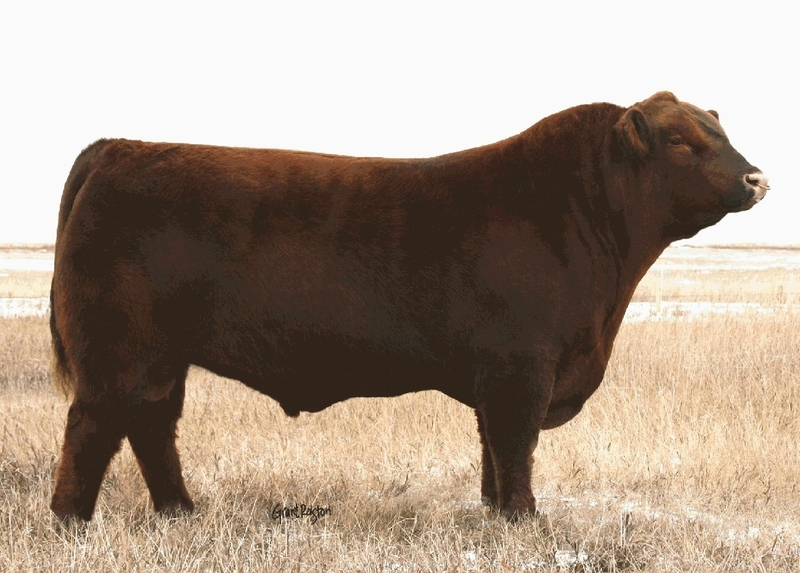 Kapton was crowned Grand Champion Red Angus Bull at Canadian Western Agribition in 2004 and was a Top 10 Finalist in the RBC Beef Supreme Challenge. Kapton calves are eye appealing and pheontypically correct. They exhibit an additional width of loin and have a front shoulder built for calving ease. Kapton was a bull with a different pedigree and the ability to sire some extra top in his calves.